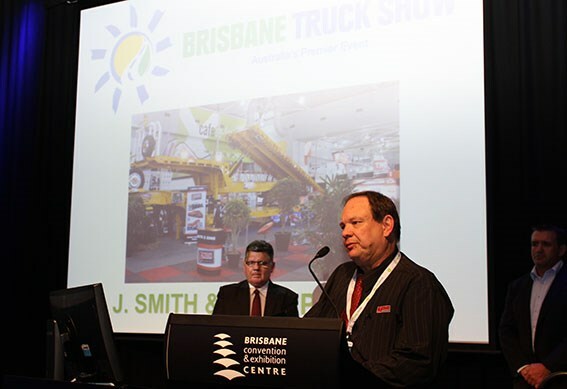 On the night of the first day of the Brisbane Truck Show, the Commercial Vehicle Industry Association of Queensland (CVIAQ) held a cocktail party where they gave out awards to exhibitors in various show-related categories. 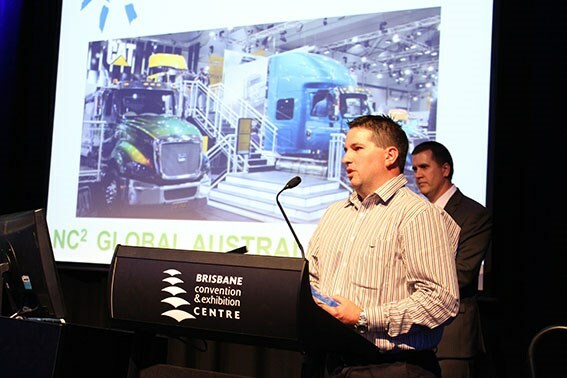 Shane Webcke, Rugby League legend and ambassador for the show, hosted the event whilst various representatives from the CVIAQ, BP, and TradeTrucks.com.au presented the five awards. 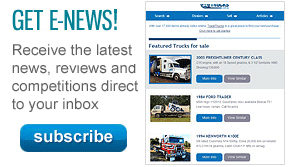 Cat Trucks nabbed the fiercely competitive Outstanding Truck Manufacturer Display award. A likely reason for this decision was the fantastic raised truck section, where patrons could walk through a tunnel and check out the tidy undercarriage of one of their machines. 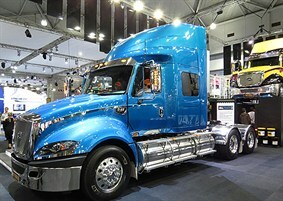 Beyond this they had a good range of colourful trucks, including the new CT630LS. Cat also had a nice interactive section which allowed people to get up close and personal with one of their engines. 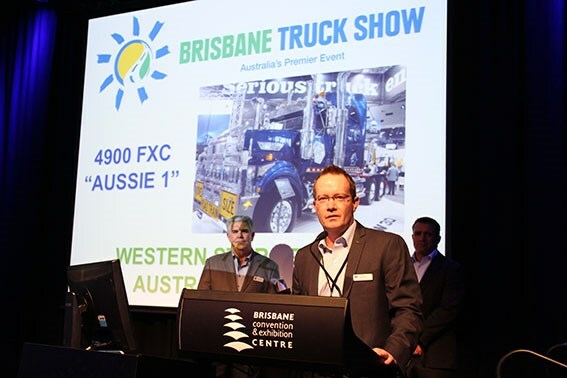 Possibly the most prestigious award for the night was the Truck of the Show presentation, which was given to Western Star for the "Aussie 1", a blue 4900 FXC. This truck was clearly popular amongst patrons as well, if the amount of people taking photos is anything to go by. Our hearts go out to the judges who had to choose between this and Scania’s ‘Black Amber’, amongst other standouts. 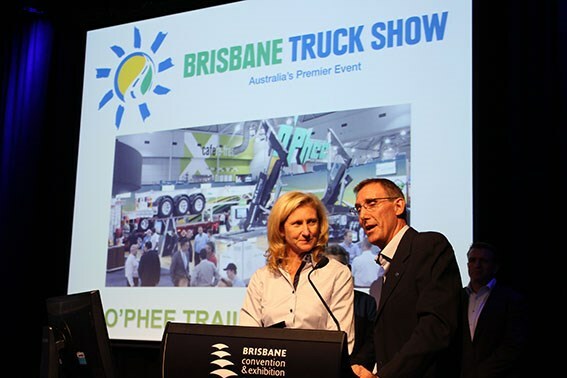 TradeTrucks.com.au presented the Outstanding Trailer/Truck Body Manufacturer Display was awarded to O’Phee Trailers, nudging out some quality competition from companies like Lusty. 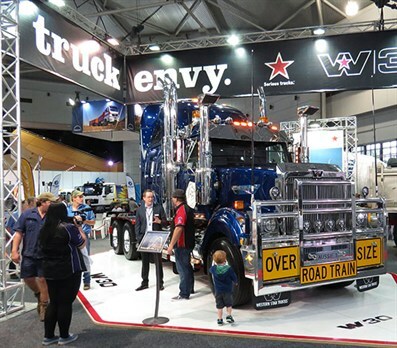 Detroit Australia, who was celebrating their 75th anniversary, has another reason to rejoice thanks to being awarded the Outstanding Vehicle Component & Equipment Display. 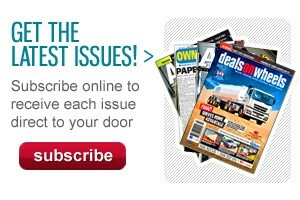 Detroit Australia knocked it out of the park with their cut away engine display. 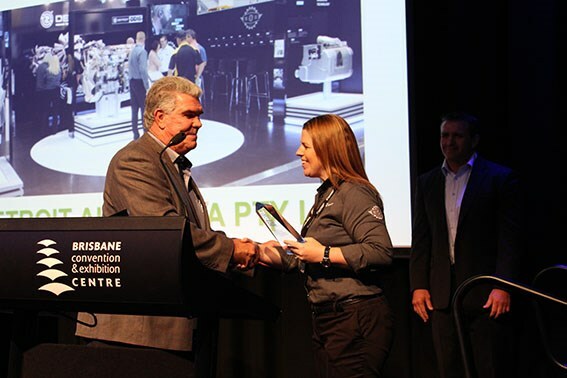 And finally, kudos to J. Smith & Sons PTY LTD who was presented the Risk Management Excellence award by Worklaw Health & Safety.